We share a LOT of creative stuff here on GWS (chances are you probably already know that)… so every year, when The Jam Event rolls around we absolutely BUBBLE with excitement for what’s to come. What’s The Jam Event? 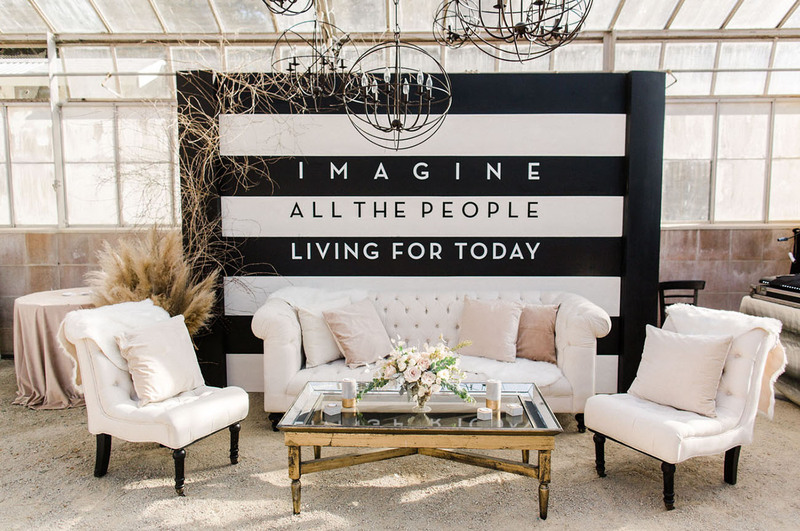 Oh, just a major gathering of wedding industry professionals that all join together in a creative collaborative effort. The result? 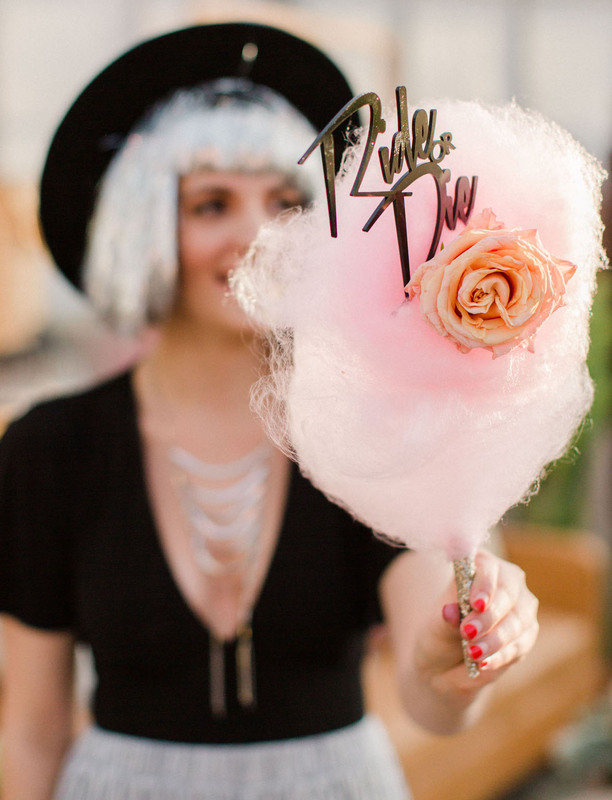 Seriously big ideas, the most effervescent inspiration, and tons of gorgeous displays. The past few years have had some rockin’ themes: 2015’s was a music festival, 2016’s heavy metal with a fearsome punch of bronze had us starry-eyed, and 2017’s was all about ‘80s-inspired design. How could they top that? Well, somehow my friends, they did. 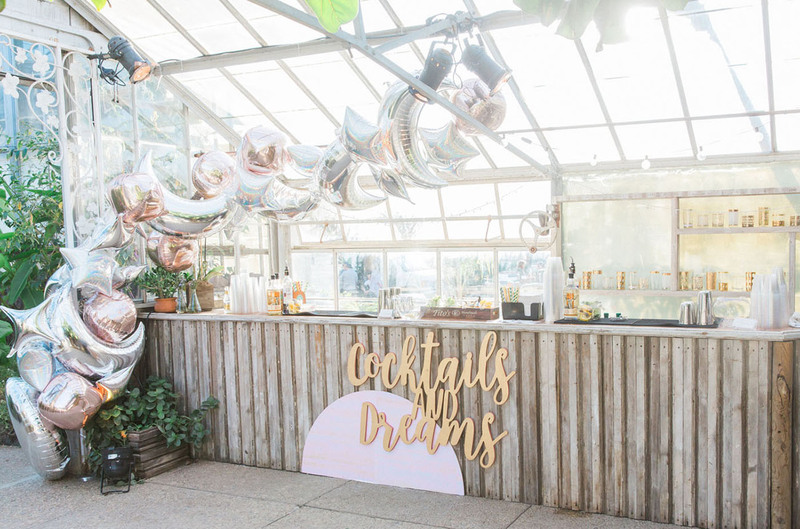 We’re rolling out the red carpet to bring you the crème de la crème of all things desert related, music festival vibes, and a touch of ‘70s vintage. 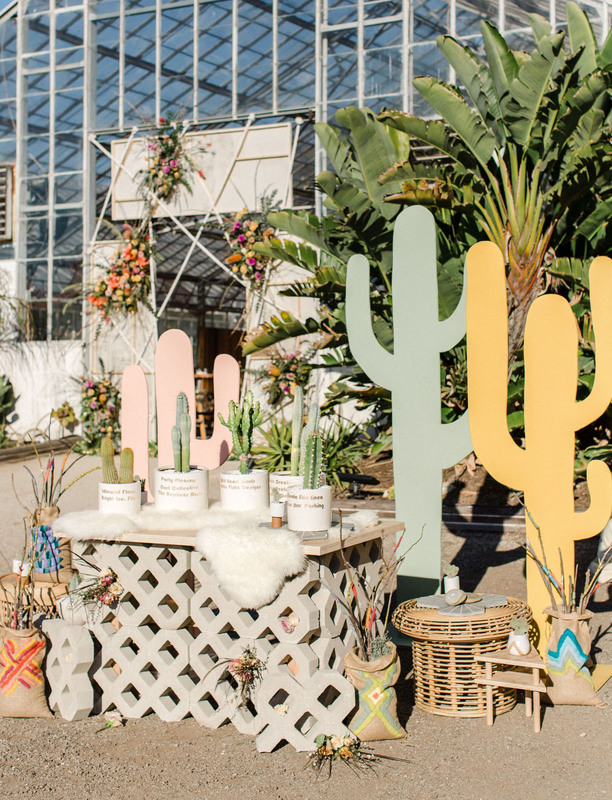 If you’ve got a love of cactus… you’re in for a TREAT! 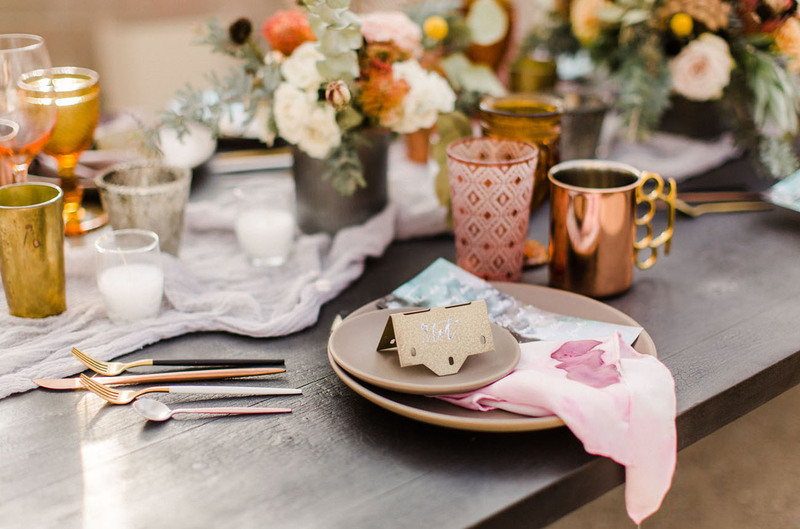 All the metallic details + vintage vibes. Yup, we’re on board! 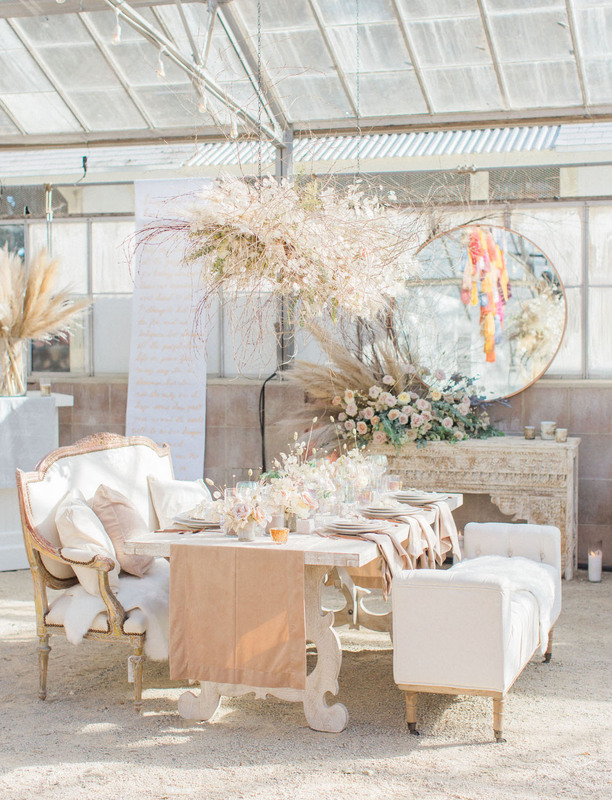 Lovelyfest absolutely crushed it with all the fringe accents (note the curtain dividers! 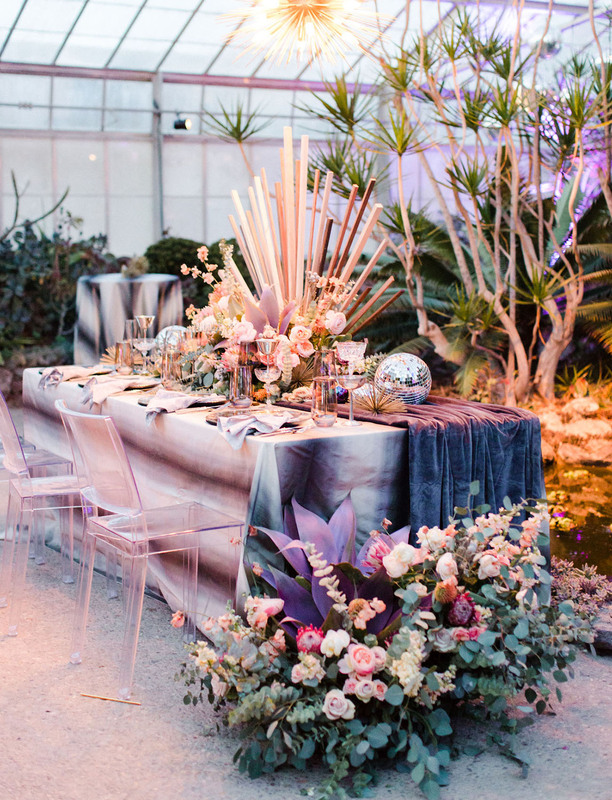 ), and that California cool color palette. 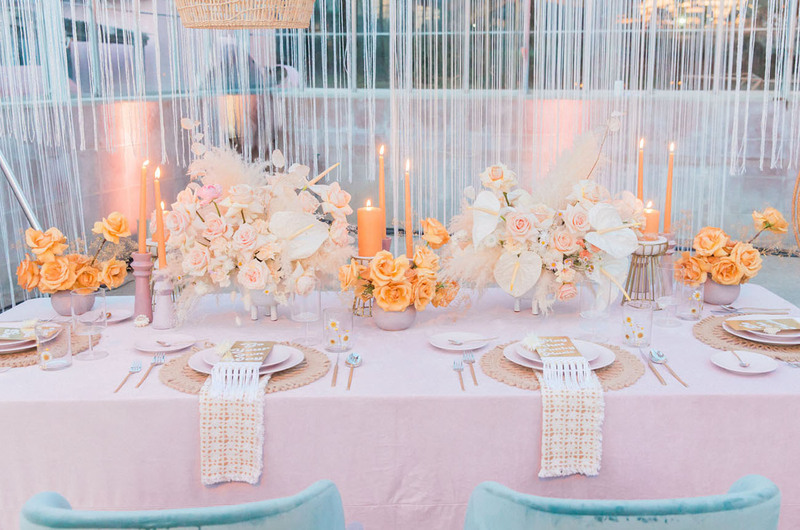 We’re seriously *obsessed* with the pop of orange to complement the teal, plus that blush pink. So good! Lovelyfest shares: We always start our design process with a color palette! 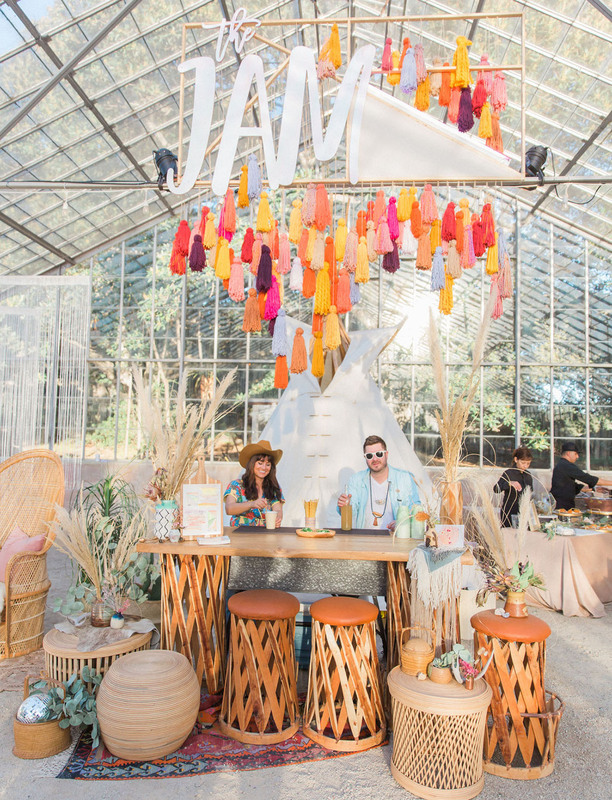 When we found out the theme of this year’s Jam Event was ’70s desert disco, we knew we had our work cut out for us! There were a lot of ‘hot’ colors during the ’70s: avocado green, brown, mustard yellow, and orange being some of the most popular. We decided to choose just one of these colors —mustard yellow — to base our design off of. 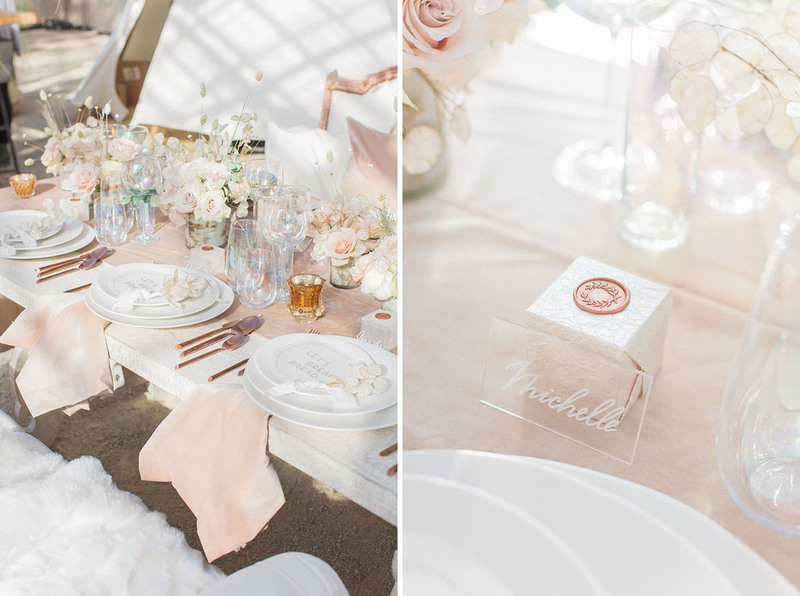 We paired it with blush pink, teal, gold and white, and our color palette was complete! Hello interior design! 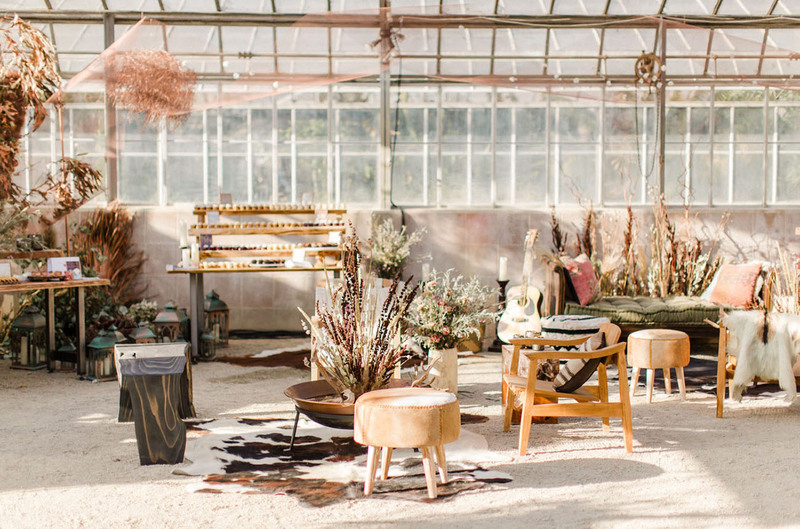 Playing off the ’70s love of shag carpet, the team incorporate that + so much more. 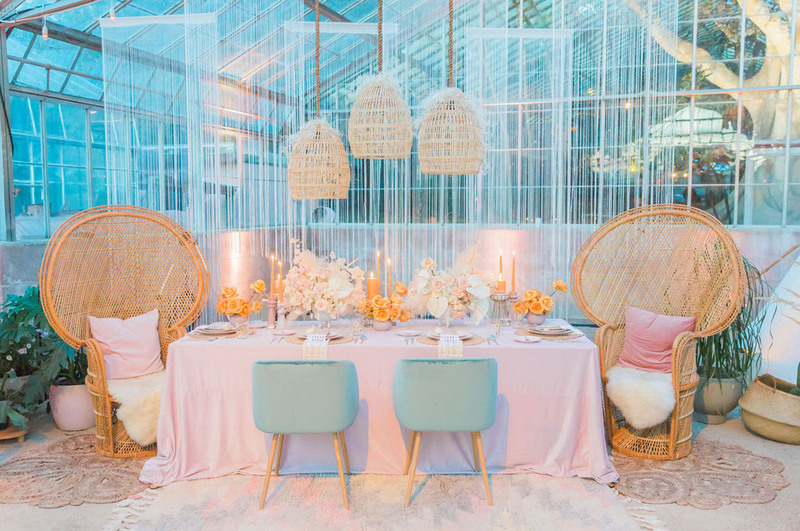 We’re talking rattan items, plants, tons of velvet, daisies, macramé, disco glitter and fringe! 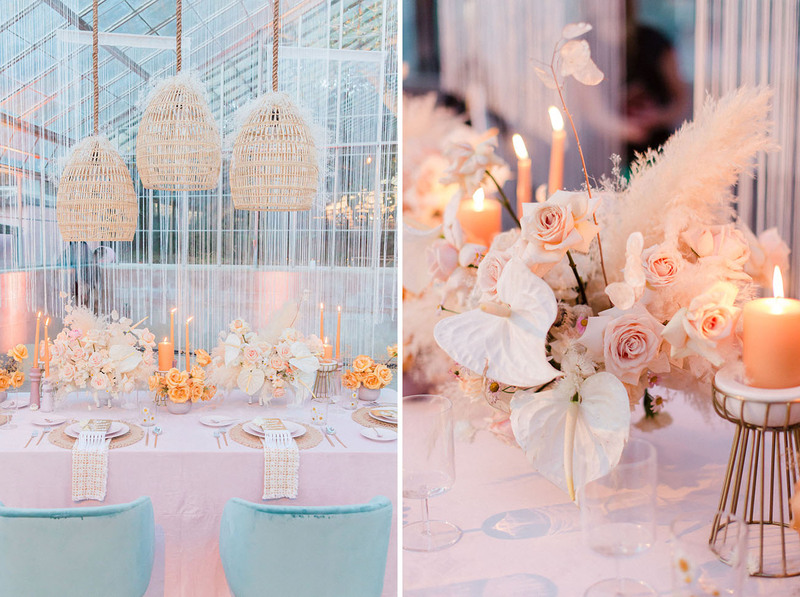 Idlewild Floral came in with the most gorgeous unique and feminine floral arrangements — the cherry on the tabletop! 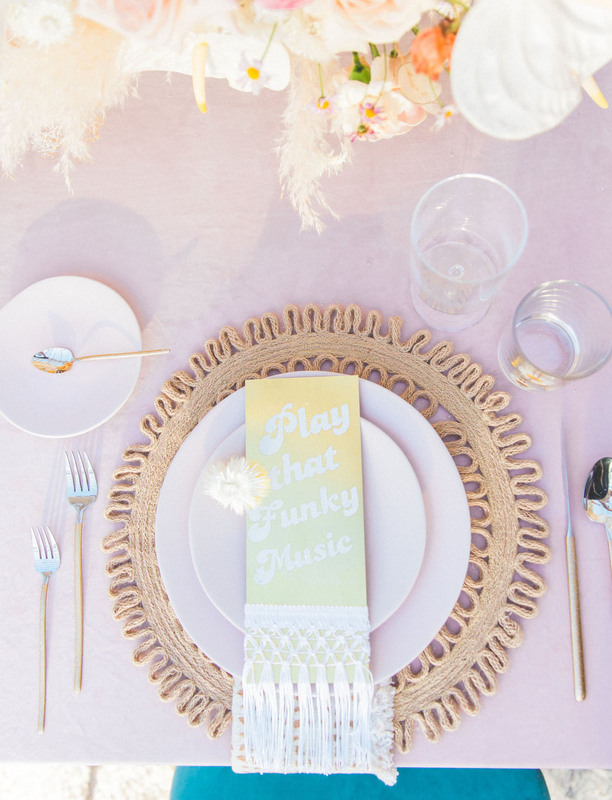 At each place setting, lyrics from an iconic ’70s song were scripted in that same funky font. 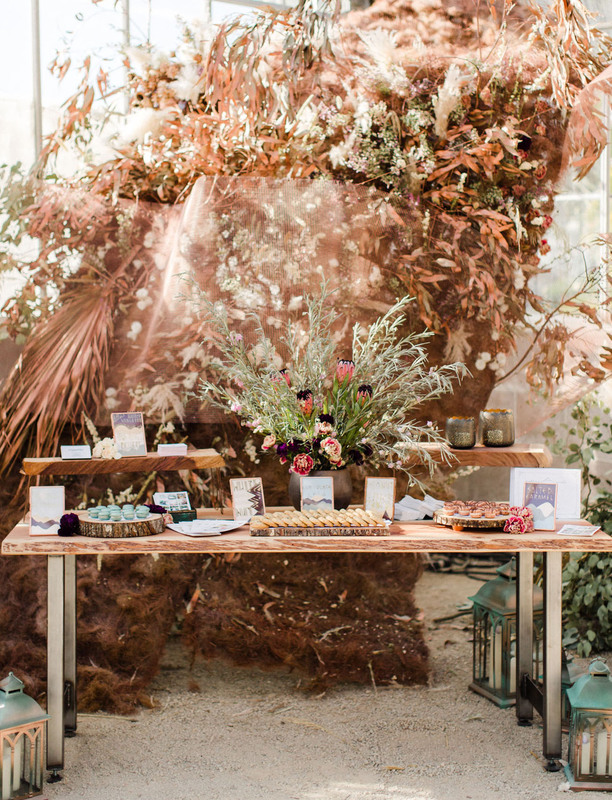 Inspired by John Lennon’s song, “Imagine,” Tyler Speier created an ethereal, monochromatic/neutral space with dried flowers and grasses, mixed natural textures (linen, velvet, fur, wood, metal), copper/rose gold accents, and iridescent glassware. 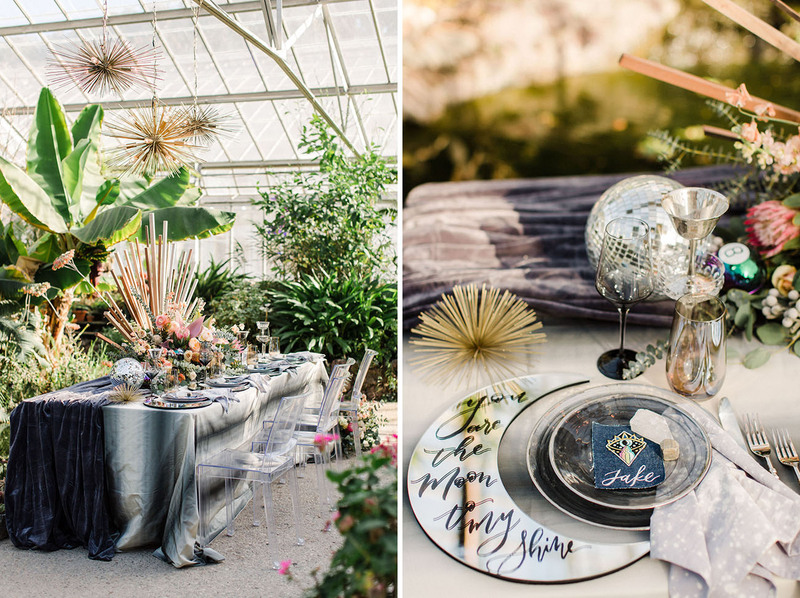 Tyler shares: I was also inspired by the 1950s elegance of Palm Springs (think Lucille Ball and Frank Sinatra). With all of the craziness happening in the world, I wanted to create a space of tranquility and hope for a better future, celebrating the beauty of humanity and what we all have in common. 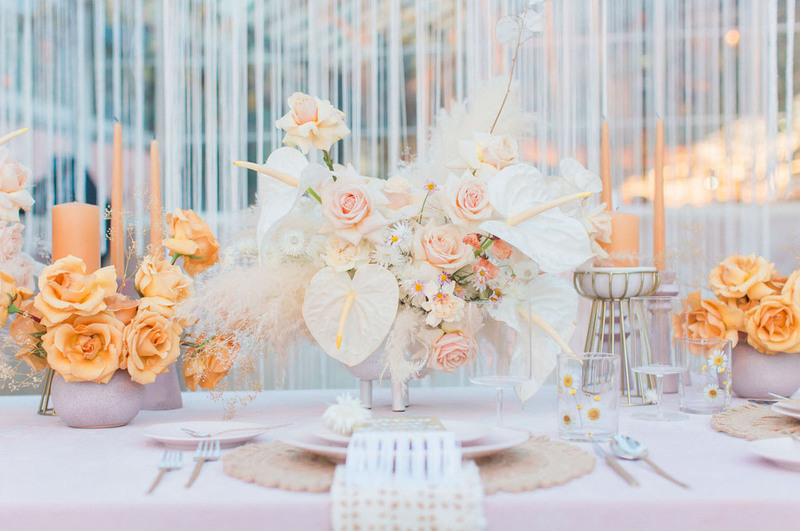 The table setting was simple and elegant, with the focal point being the hanging arrangement + centerpieces of of dried florals, lunaria, and Sahara roses. 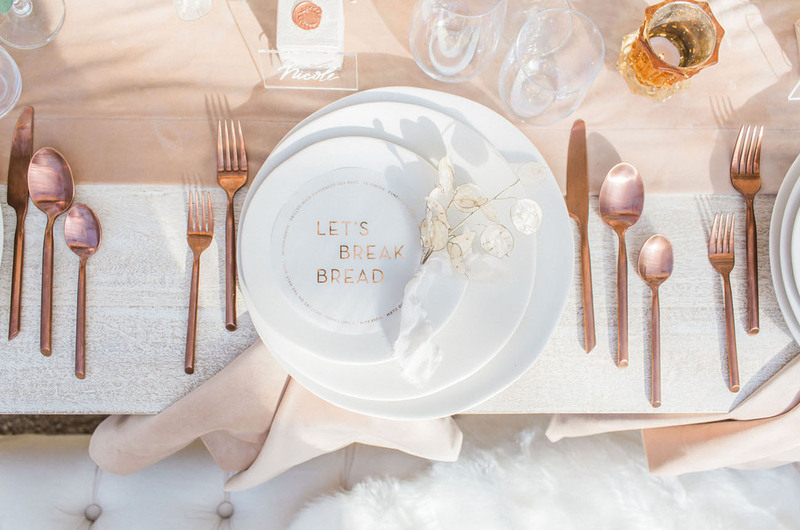 We especially loved the acrylic calligraphy place cards created by Calligraph.Yee,‌‌‌ and the luminous rose gold and marble textured menus from Lotus and Ash. 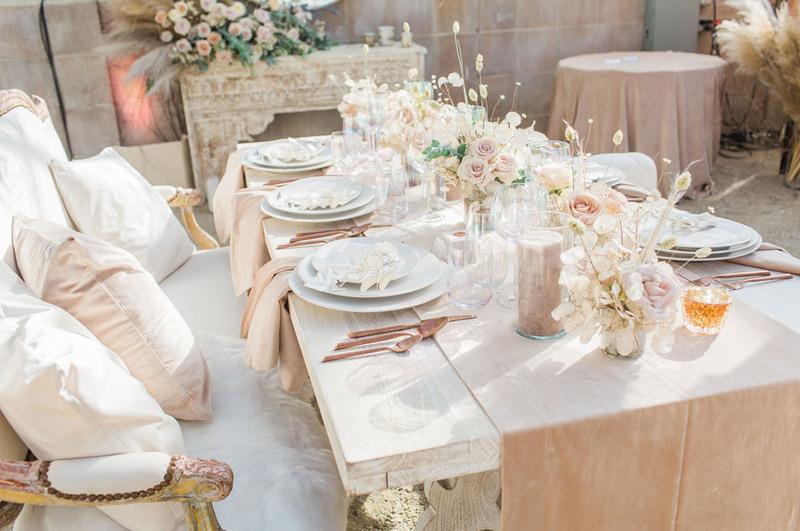 That gorgeous table + all the candles. ADORE!! Don’t you love when couples can incorporate meaningful lyrics into their day? The team at Onxy and Redwood is known for playing on the dark side of the rainbow, and the definitely BROUGHT IT with this Mad Max-inspired vignette. 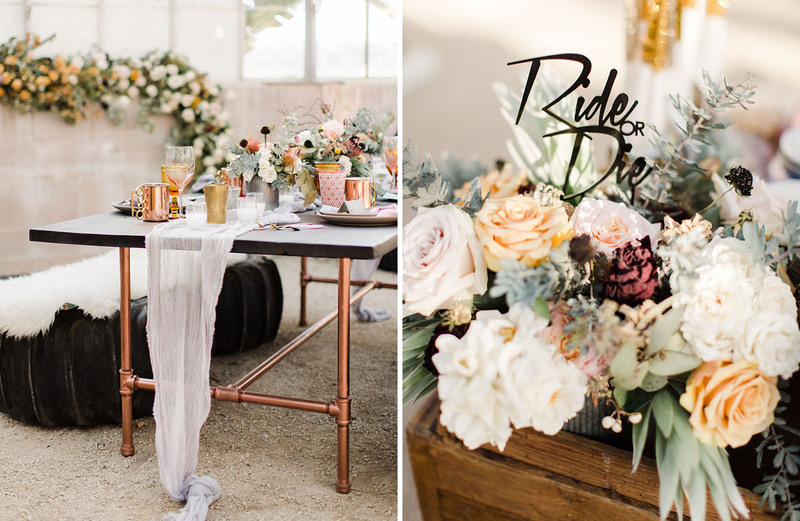 Jess of Onxy and Redwood shares: Using edgy, out-of-the-box concepts, the post-apocalyptic Mad Max desert vibe, seemed to be a fun spin that could set our design apart from the other pretty desert pastel palettes. We thought, why not have fun pushing the boundaries?! 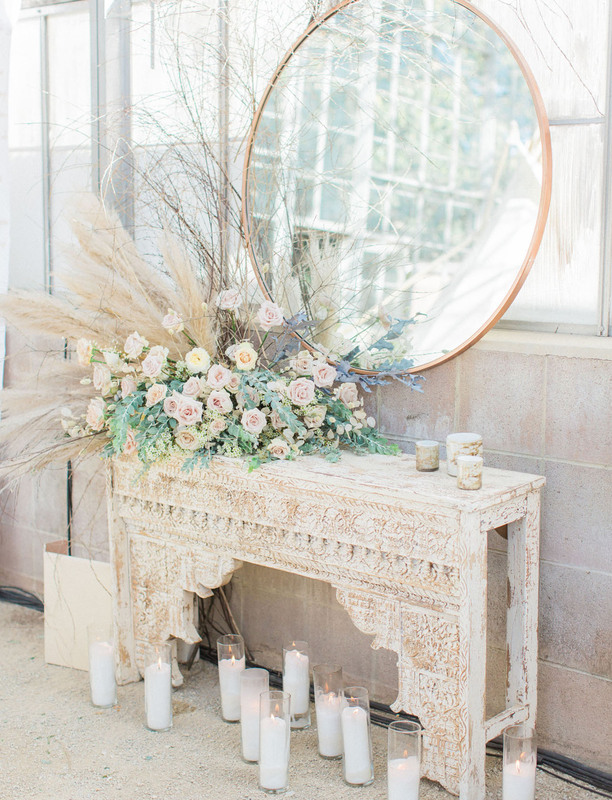 Our installation was meant to be somewhat of a random collection of items found in an old gas station or garage but prettied up with some delicate softer pieces. So we used tires, cinder blocks, and metals, as if found randomly at a garage. 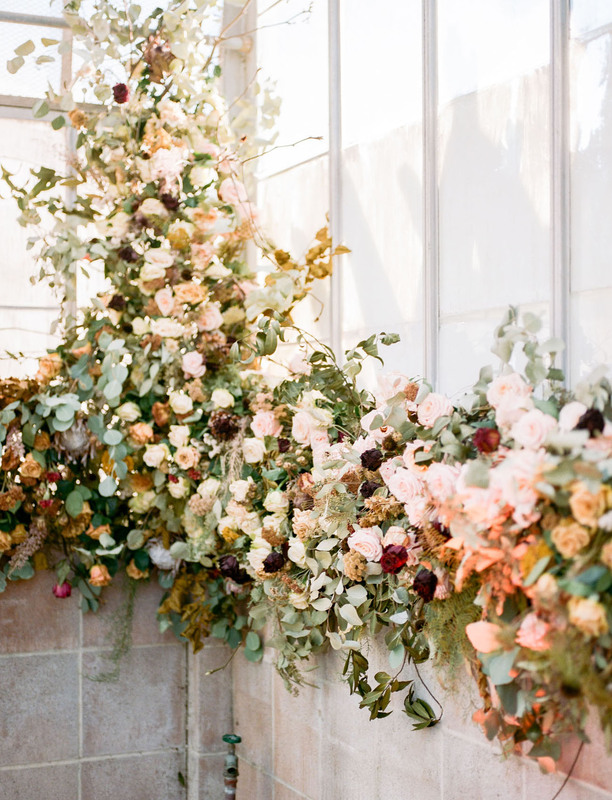 The overgrown wall of florals by Ella & Louie balanced the edgy and weird — keeping it pretty, punky, yet oddly practical! Almost like a phoenix rising from the ashes? Cakes by Colin crafted this uber cool cake! 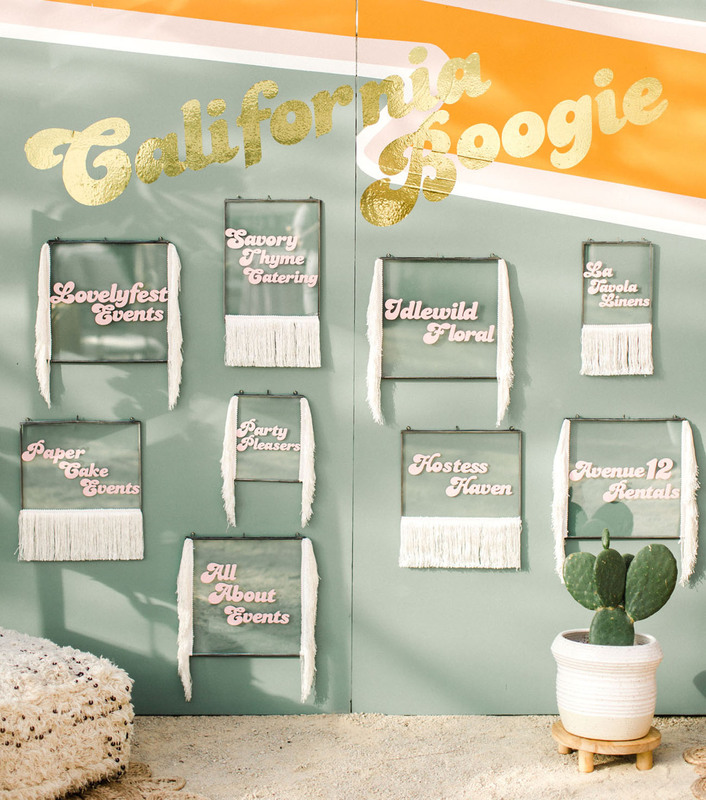 Jaime, the host of the event and designer at Wild Heart Events shares: Our vignette was inspired by the celestial vibes of the desert, mixed with a midnight spin around the roller rink! I had this vision for awhile and when one of our teams couldn’t participate due to the date change, I rallied the other creatives and pulled this one together last minute! 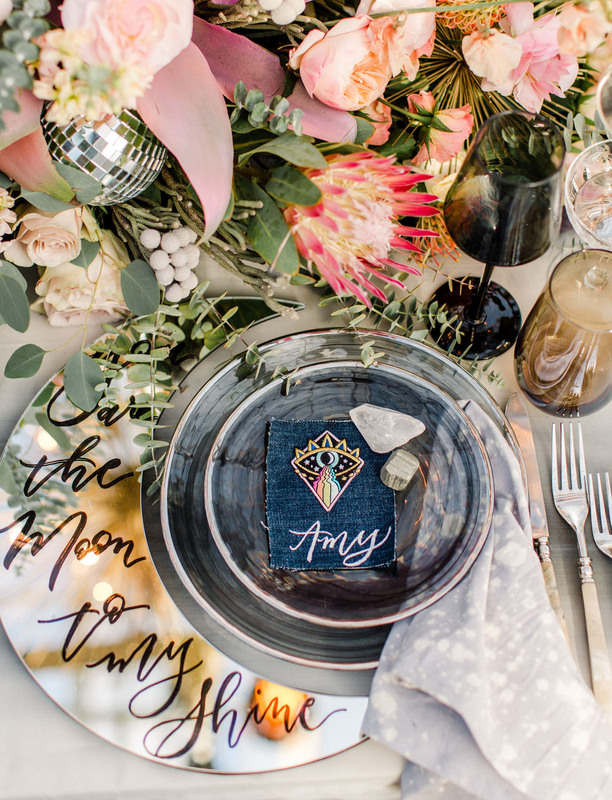 Our denim and patch place cards were a play on festival fashion with bleach splattered napkins and crystals at each place setting. Jaime from We really had some fun with this one! 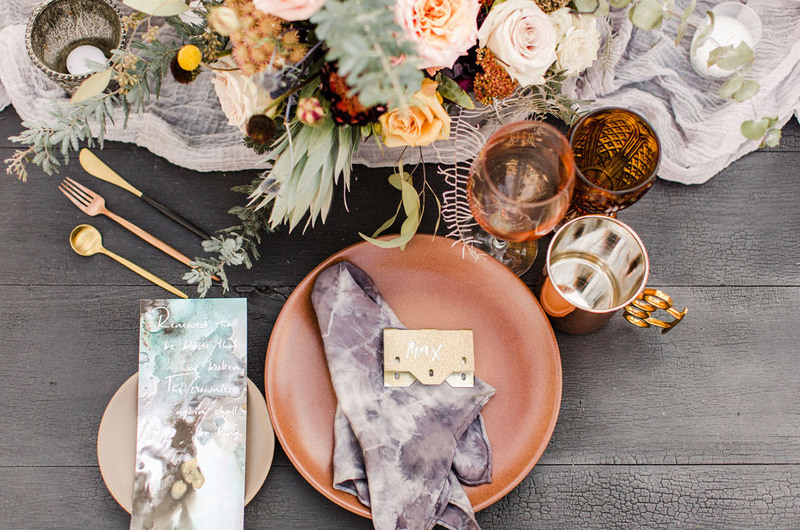 For a funky play on festival fashion, they used denim and patch place cards with bleach-splattered napkins, along with crystals at each place setting. 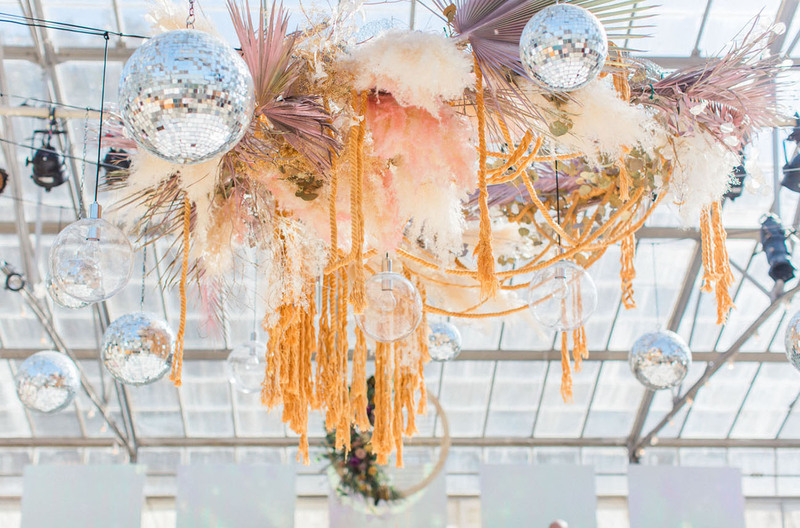 Casa Blanca SB created the most amazing floral installations with oversized succulents — painted to look iridescent — and magic 8 balls + disco globes woven in! 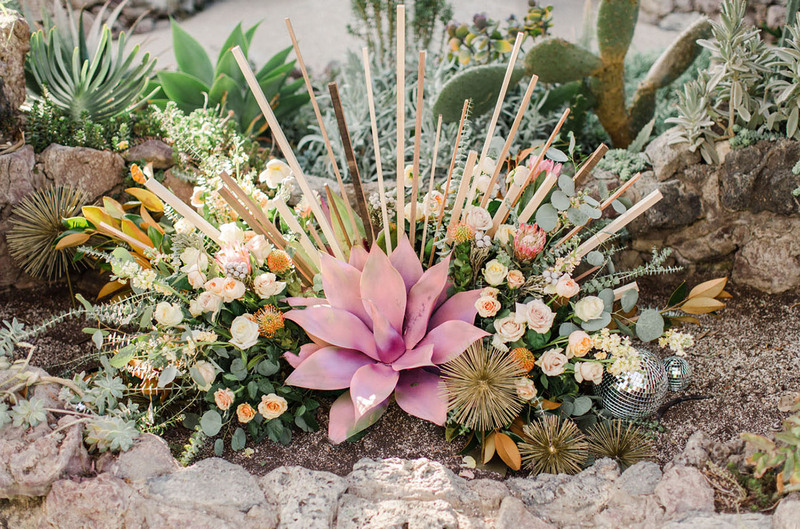 Last, but certainly not least, take a look a this ode to the desert from Event Vignette! 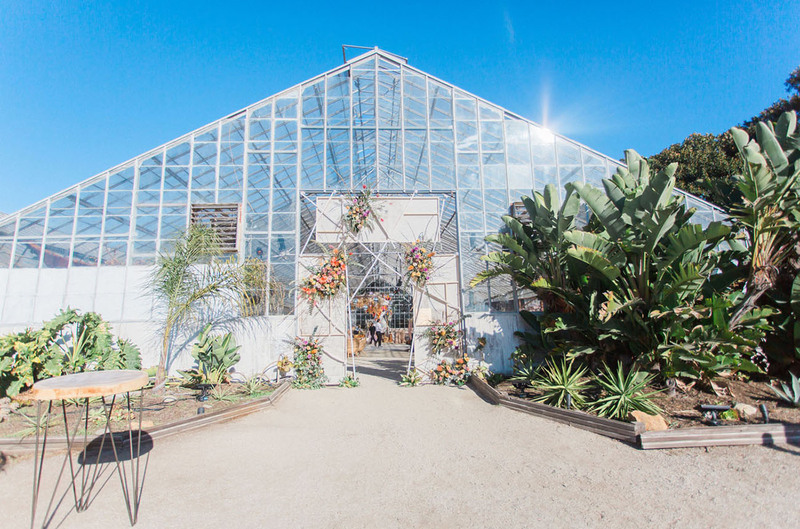 Desert Crush was an ode to all that is desert , sustainable and reclaimed. 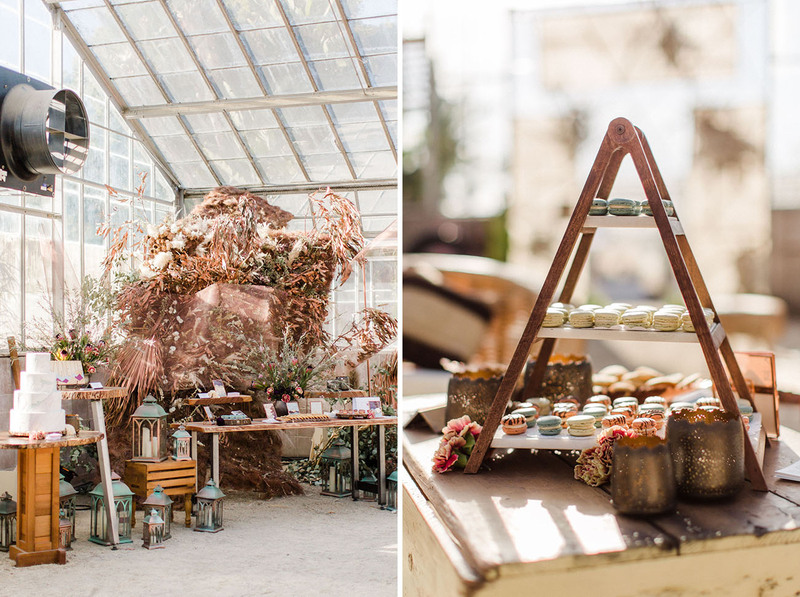 Collaborating with All Heart Rentals‌‌‌, Milk & Honey Farms‌‌‌, Elan Event Rentals, and Crushcakes Cafe‌‌‌,,the scene was set in the wild west. 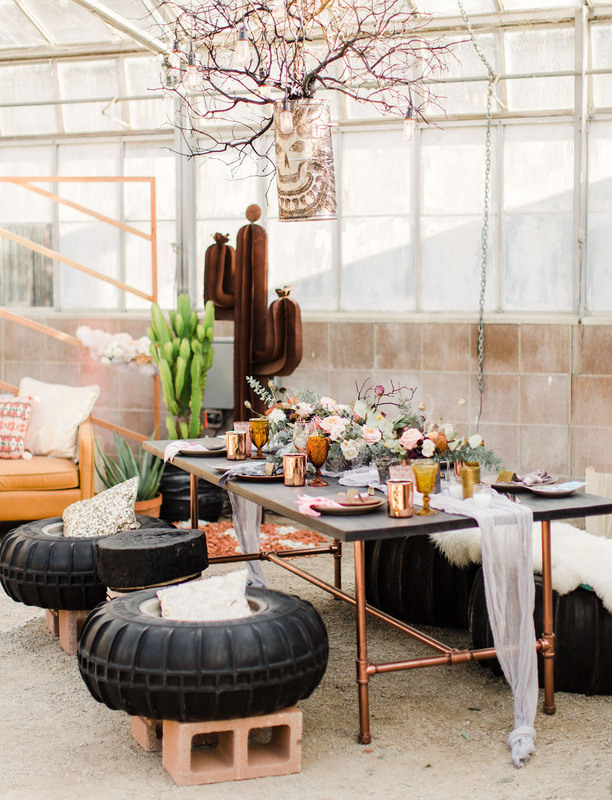 Dried flowers, desert dunes, and copper accents framed the space that truly had a ’70s essence. 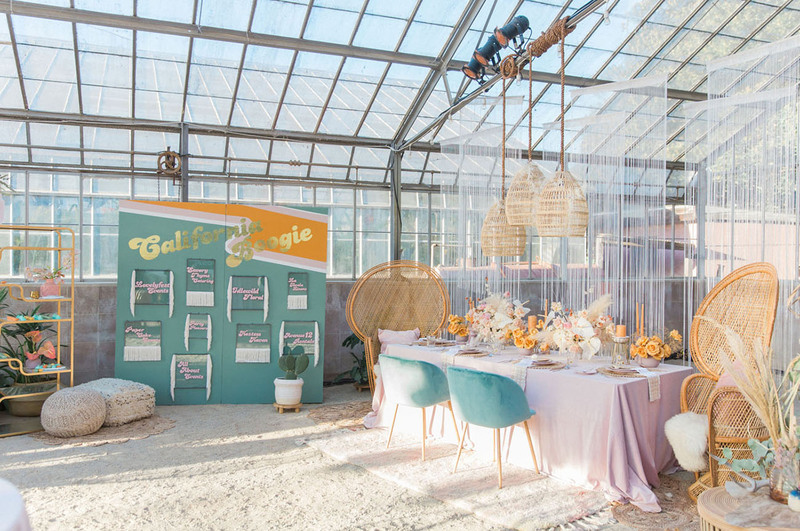 All members of the team contributed their unique take on ’70s in the desert, with desserts reminiscent of the pale sunset colors and geodes you would find there. 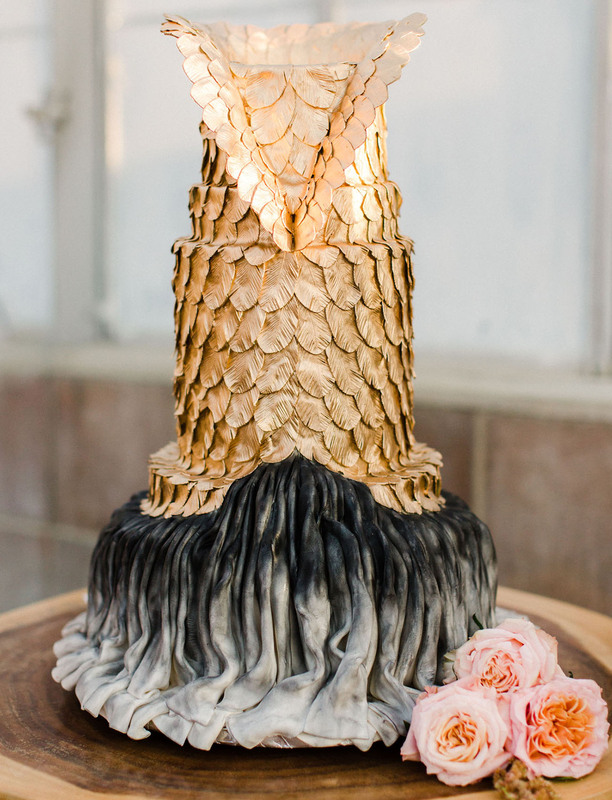 Now that is one GORGEOUS cake. Way to go, Crushcakes Cafe! 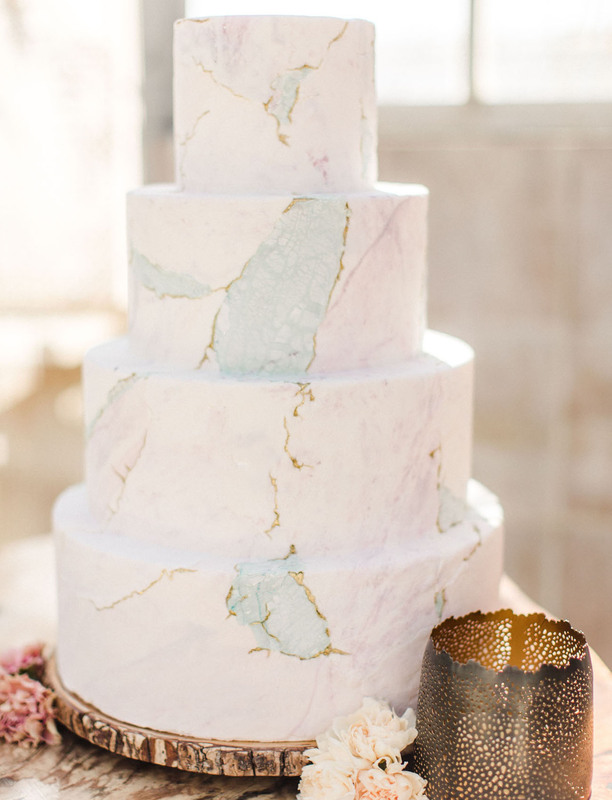 We’re kinda sorta in love with the overall marble-effect and little touches of gold! Wishing you had been there to see it all? Get a closer look in this video from I hear My Groom!